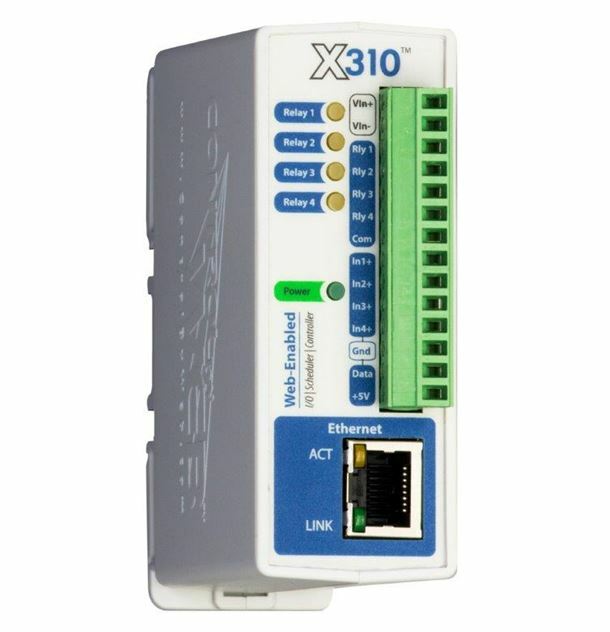 The X-310™ is a robust, full-featured, web-enabled, Ethernet I/O module with four 1-Amp relays, four optically-isolated digital inputs, support for up to four temperature or humidity sensors, and the ability to control up to 16 remote relays. 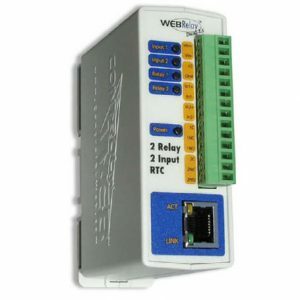 It has non-volatile memory for logging, a real-time clock with support for NTP (time server) synchronization and an advanced full-calendar scheduler which can be used to turn on/off relays at preset times. Its web-based user interface makes it easy to set-up and use. The X-310™ has many advanced features such as the ability to initiate a connection to remote servers, BASIC programming, SNMP, email alerts, peer-to-peer communications, internal monitoring, graphing, etc. 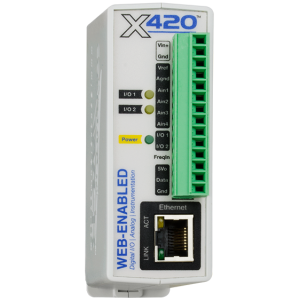 The X-310™ is ideal for many applications including security, remote control, street sign controllers, shift bell controllers, and much more. 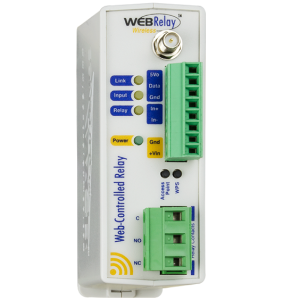 Like all of the ControlByWeb™ products, the X-310™ has a built-in web server so its relays and inputs can be controlled and monitored using a web browser (or use our CBW Mobile smartphone app). Additionally, temperature and humidity data can be graphed directly from any HTML5 compatible web browser. 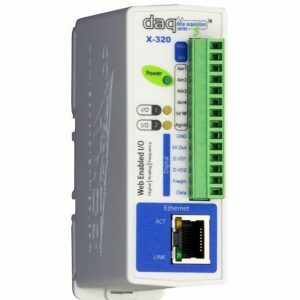 X-310-E™ (with 3-12V DC Inputs) Requires 802.3af POE power.